As science uncovers more and more aspects of the truth, religous ideas became redundant. For instance, when the principle behind lightning was understood, the god of lightning became irrelevant. When epilepsy was understood, demonic possession became an unnecessary explanation. Point is, as science marches on, religion suffers one defeat after another and if at all religion is still around it is mainly because of politics, culture, tradition etc. plus many religions have managed to survive by cleverly altering their ideas in light of the latest scientific theories. Anyway, my point is, is Buddhism only relevant as long as there is no technology (either in the form of a pill or whatever else) to fill our void? If, for example, some technology could cure my stress, give me abundant happiness (even better than drugs), wouldnt meditation, yoga etc. become redundant? So what I am saying is, is Buddhism (like religions of the past) just filling a temporary gap in knowledge, and once technology fills that gap ... will it also vanish? Buddhist point of view soon or later will be proven by science. I personally do not have doubt about it and I fully support buddhism is tested by science to its every minute details. Because buddhism tells you, there is no underlying inherent thing or underlying fixed entity that govern this universe. This is proven by direct yogic experience. Science direction is they believe there is a mysterious underlying fixed entity or mysterious inherent existent that govern this universe. Because of this mindset, they keep searching and searching that mysterious thing without stop. They search this mysterious thing using an instrument. What you get depends on your instruments. If you use instrument or theory A, you get result A. If you use instrument or theory B, you get result B. This is not what scientist want. If you use instrument or theory A, you get result X. If you use instrument or theory B, you get result X. If you use instrument or theory C, you get result X. If in whatever things do you, you always can find X, then you get the answer. This is the final answer, the inherent answer that will not change forever. Because this is the source of this or that. But, what they find is not that in quantum physics. What they find out is whatever result they get is instead independent on the instruments, it depends on the instrument. In this case, there is no inherent existence they have ever found up to now. Up to know, science still prove buddhist stands indirectly, that this universe is lack of inherent existence. They don't admit it of course. To them, they think that those mysterious inherent things just haven't been found. The more you do, the more this lack of inherent things is proven in science lab. There is a very interesting experiment about double slid. In the past: They think atom is like a ball or wave. But, both are wrong. So, some of them think there must be the third category haven't been founded. But, some may think, you never have that, because this experiment shows that what you get depends on what you use. No unique answer. In this sense, they actually saying indirectly that there is no inherent existence. To answer the literal question of the topic, I guess the answer is "kinda yes" - one day when all beings of all worlds have finally become Buddha, who needs Buddhism anymore? Let's work towards that day. The provisional means of buddhism will likely disappeared and replaced by definitive meaning. That is, if buddhism really evolved toward its final objective and not declined back to the basis (0 / no buddha/ no dharma), and society advances to its betterment, not going backward toward deterioration and/or corruption, both in term of economy, science, education and morality. Science can advanced only with the right knowledge based on universal compassion, otherwise science will only lead to its own downfall, and destruction. This universal compassion is not the specialty of science, so science would need to go hand in hand with buddhism, preferably composed of buddhists/bodhisattvas who can work toward the betterment of society and not for selfish, political reasons. When all of these requirements are equipped, science will reach the stage of realisation equal to buddhism, and inevitably develop and establish a special branch - the science of consciousness. As for buddhism as it is today, it is already the science of consciousness, it is just that modern science had yet to catch up to it. Buddhism is just a name, it is the knowledge that we care, so if it become redundant due to being replace by another name such as science, we are losing nothing. Music wrote: When epilepsy was understood, demonic possession became an unnecessary explanation. People still become possessed and it isn't epilepsy (epilepsy is a physical condition of course, though possession is potentially something else). Psychologists call it neurosis (because spirits and demons do not exist in their models), but various other traditions don't think so. Point is, as science marches on, religion suffers one defeat after another and if at all religion is still around it is mainly because of politics, culture, tradition etc. plus many religions have managed to survive by cleverly altering their ideas in light of the latest scientific theories. Science is adept in the material realm, but our existence is more than mere matter. Religion is a very very broad term and not very useful in a lot of contexts. Buddhism in Asia continues to exist for many reasons. It is a cultural phenomena and in some countries propped up by the state (like Thailand). In other places it is a large socially engaged movement (like Taiwan). In other places it is a hereditary priesthood with a lot of money to keep the machine going despite so few people caring anymore (like Japan). Anyway, my point is, is Buddhism only relevant as long as there is no technology (either in the form of a pill or whatever else) to fill our void? If, for example, some technology could cure my stress, give me abundant happiness (even better than drugs), wouldnt meditation, yoga etc. become redundant? Unlikely to ever happen. Science might be cumulative, but human civilization is not. Given how science relies on private and government funding to sustain itself, in the centuries to come it will lose its support base. Unlikely because yogic traditions investigate things materialist science has no access to. Don't under-estimate material science, it only take about 100 of the 2500 years for science to develop at this advance stage, given the full 2500 years, i.e. in the year about 4412 (2012+2400), you will surprise what they will come up, given that they don't destroy themselves. 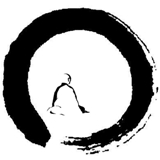 As in buddhism, it is through the conventional truth that one arrived at the realization of the ultimate truth. Similarly science has to master the ground work (material science) before it can master the higher level of physics (possibly extend to immaterial/consciousness level). Music wrote: As science uncovers more and more aspects of the truth, religous ideas became redundant. For instance, when the principle behind lightning was understood, the god of lightning became irrelevant. When epilepsy was understood, demonic possession became an unnecessary explanation. You have great misconceptions of Buddhism. Meditation, yoga, happiness are NOT Buddhism. Study some Madhyamaka my friend. Before science gave us the washing machine, we had to depend on our arms and legs ... involved a lot of effort and sweat to get things done. Now we have to depend on our will ... expend a lot of effort to be mindful. But once technology ... well, you get the idea. Science deals with understanding and manipulating matter. Buddhism is about becoming free from suffering. Science can help in alleviating physical problems and even some mental disorders. Buddhism touches upon the subject of matter in refuting materialism/physicalism and in pointing to its basic qualities as impermanent, suffering, selfless and emptiness. Beyond those, natural science and Buddhism are separate fields of knowledge and practice. Astus wrote: Science deals with understanding and manipulating matter. Buddhism is about becoming free from suffering. Science can help in alleviating physical problems and even some mental disorders. Buddhism touches upon the subject of matter in refuting materialism/physicalism and in pointing to its basic qualities as impermanent, suffering, selfless and emptiness. Beyond those, natural science and Buddhism are separate fields of knowledge and practice. The problem is that science is subject to the law of diminishing returns. The cost of new knowledge and discoveries now comes with a gargantuan pricetag and the results are not so beneficial or earth shaking as they once were. Consider the Mars exploration program and particle accelerators. They get a lot of attention in the media for zapping rocks or discovering a new particle (at the cost of how many billions of dollars), but don't really make an impact on humanity the way, say, satellite technology or atomic research once did. Humanity is approaching the limits of scientific knowledge. This is why the number of patents on average per scientist has been in decline as Joseph Tainter pointed out in his work. This is also why new discoveries come with massive costs. What's more is how much money and resources must be used just to maintain the institution of science -- everything from laboratories to training new generations of specialists. With that being said, science has its limits and those limits are clearly visible. Science is only a "tool", a human construct where its limitations are the people who created science itself. The problem with this is the creator cannot see itself, the weakness in its thinking! As the creator does not "know". If the OP knew the results of the path, he would not have expressed his point of view.....as there are no views in Buddhism. There is a saying: One cannot see by following a blind man. Science is the blind man created by blind men.....Why attach to such a wrong view? Religion means "linking back." I think that as long as people feel a desire to "link back" to something, religion will be around. One of my attractions to Buddhism, particularly Japanese Buddhism, is that it links me back to my childhood stay in Japan -- which was among the happiest of my life. Further, I don't think that science will ever explain everything. As long as there are some mysteries in this universe, religion will be seen as necessary for some people. Music wrote: As science uncovers more and more aspects of the truth, religous ideas became redundant. Well, the first thing is that science only reveals abstract theory, based on empirical evidence. Many scientific discoveries have nothing to do with the spiritual life. Empirical evidence is not capable of bringing insight, or tranquility. Abstract theory does not release one from the fetters of suffering. Even scientific theory itself has proven that the very nature of reality is subjective, and fundamentally incoherent (quantum mechanics). Furthermore, spiritual concepts have been known to uplift science. For instance, when the principle behind lightning was understood, the god of lightning became irrelevant. When epilepsy was understood, demonic possession became an unnecessary explanation. Just because the physical mechanics of lightning are known, through evidence, that does not change the existence of Indra, who is by name the deva of lightning. This has never meant that Indra is inherently responsible for lightning on his own, nor any god. Also, just because epilepsy exists, does not make the diagnosis of "demonic possession" or "divine possession" unnecessary explanations. Just because the brain can produce epilepsy doesn't mean there are not other conditions for convulsion. Religion suffers because it is mostly based on faith in belief--sometimes belief in lies, sometimes not (but that's just dogmatism)--and worship of ritual. Dharma is not really religion. The Buddha himself did not teach a religion, and Buddhist tradition did not create a religion for itself either. Zoroastrianism, Christianity, Athiesm, Paganism--these are religions, and are subject to the instability that you mention. Dharma has no need to cleverly alter it's ideas due to scientific theories. Dharma is the absolute teaching, the ultimate truth that points to our reality. Whereas science is more like the recording of our experiences, the measurement and meticulous observation of our experiences, and the speculator of reality. Religion, however, the faith in belief, vulnerability to spiritual lies, and worship of ritual, will always exist in small ways as long as humans remain impure (until the ending of the world). Religion has always been around, it is going to go away because of the support of science. Recording, measuring and observing our experiences empirically is useful, but it cannot ELIMINATE the compulsion for religion. To be followers of Dharma, however, we should try to focus on seeing into our true nature right here and now. Therefore we do not become wrapped up in religion, or attached to science either. Buddhism makes science become redundant. Well, not exactly, because human are not Buddhas and do not have strength enough to overcome suffering, so we need some aid: vaccines are helpful, medicine, etc. Science will never lead you to Nirvana and science only now is starting to find truths that Buddha already showed. Nosta wrote: Buddhism makes science become redundant. Only now just starting to begin to turn the knob to open the doorway to the chamber of the truths which the Buddha already showed. And without a light, they will not be able to see anything regardless. Buddhism might or might not become redundant in the future but I know that technology or science, as understand by modern man in 2012, will become irrelevant. The concept of technology or science as understand by modern man revolves around the dependence on external objects to fill our void or to perform certain everyday tasks ie communications, health, transportation, information tasks, etc. However, when man is dependent on external objects to perform certain tasks, he is extremely vulnerable to The System especially when The System is composed of multi-trillion profit-making companies whose sole objective of their existence is to earn profits regardless of whoever get hurt. Suppose a magic pill is invented which is able to cure all diseases and give one immortality as long as humans keep taking this pill. The company which produces this pill will do all its best to ensure that no other company will come up with similar products. This is to ensure that the monopoly on this magic pill is held by the original company. Also, the company which produces this magic pill will do its best to ensure that no long-term cure will ever come into existence. I.E. they will devise a system where humanity has to pay to take this magic pill once every week or every month in order to stay healthy and immortal. In order to maximize profits, they will undoubtedly jack up the prices every few years which will put the majority of humans into bigger and bigger debts. Don't believe me about the greed and selfishness of mankind? Just look at the oil companies and the automobile industries. Too many patents and inventions for renewable energies have been shot down over the past few decades so that the monopolies and profit-making capacity of oil companies will continue to exist. If everyone has a car which runs on water for eg, stocks in oil companies will become worthless overnight and the billionaires of oil companies will fall to the level of paupers. If you are a billionaire boss of such an oil company, would you be foolish enough to stand idly by while inventions which threaten your profits and wealth come into existence? As long as man is dependent on external objects, he will always be vulnerable. As long as man is dependent on the system, he will always be a slave. Most importantly, as Thor the Lightning God said, there is no distinction between magic and high science in the higher dimensions. Magic/Buddhism/Higher Dimensional Science are all one and the same. Modern Man fail to recognise Magic as a Higher Form of Science because Modern Man has 95% of his brainpower blocked by the demonic chains of this prison planet. All external technologies which are currently in existence and which you can ever dream up of can and will be made redundant if Man gets the opportunity to unlock his power within. For eg..
Transportation - Man needs cars, buses, subways, planes, ships to travel around and move freight around. If Man unlocks his power within to attain the power of Teleportation and Flight at speed of Light, what need has man for mundane transportation vehicles then? Communications - If man can communicate telepathically with each other, what need has man for mobile phones? Health - If man can use his own innate power to heal himself and others, what need has man for medicines and docters? Information Tasks - If man has ability to tap into the Askashic records, what need has man for computers and ipads? The greatest evil which the elite and nwo has committed in this world is to convince the ignorant masses that humanity is powerless. That humanity is dependent on spouse, children, family, company, country .. The System in other words. So will Buddhism become redundant? Will "modern" science and technology become redundant? Music wrote: Thanks for the replies. Buddhism can give you the "technology" to wash your laundry without using your arms and legs too. Unfortunately, Man is too unrealized to use such a technology. There are many questions science is not equipped to answer. Is this right or wrong? Is this beautiful or ugly? Is this fair or unfair? are among them. These questions do not have a scientific answer because they can't be settled by experiment. Buddhism, like all religions, concerns itself with the first. So, no, science will not make Buddhism obsolete. More than that, the procedure of science is dualistic. There is the experiment and the experimenter, who stands aloof from it, coolly taking notes. In Buddhism, the experimenter is the experiment. Instead of holding a test tube over a bunsen burner, the meditator is in the test tube, getting cooked. The God of Lightning is not only responsible for creating lightning, he is also responsible for creating the electricity which powers up all the electrical appliances in our lives including the very same PC/Laptop which you are using to browse this forum. Gods and Higher Dimensional Beings are responsible for every aspect of our lives including the basic necessities of air needed for our breathing, the water needed for our consumption, fire to heat up our food, etc etc. For eg, some on this board might claim that science has already disproved the existence of fire elementals and that science has already shown how fire is made and produced. Which is total BS I tell you. All fires on this world, whether they be fires made from camp wood or fires on electrical stoves are made by fire elementals. There are certain dark demonic magical lodges or organizations on this world who are seeking to distract Man from his true source of power and divinity. Because the only way to make Man truly powerless is to cut Man off from his true source of power - that of his own Divinity. I can understand why Man is very reluctant to recognize the fact that every aspect of his life is controlled by higher dimensional gods and forces. However, being unwilling to recognize such higher dimensional gods doesn't mean that these gods don't exist. It simply mean Man is giving up control of his own life to those power-hungry greedy dark magick practitioners who are indeed very willing to recognize and manipulate such higher dimensional gods and forces. This is why Man, every man, woman and child has to evolve themselves to such a degree that they can see and interact with such higher dimensional gods and forces themselves. This is how man free himself from the system of slavery prevalent throughout this world.